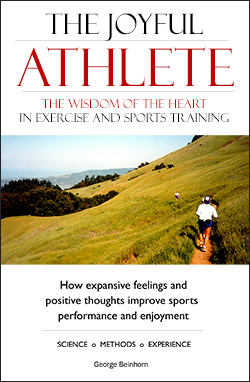 Years ago, as I’ve noted elsewhere, I posted something on the Runner’s World forums in my usual vein, touting the importance of an expanded heart in sports performance. A high school track coach decided to school me in how sports really works. He said that emotions play absolutely no role in a runner’s success, or lack thereof. I’m thinking of Tony’s Holler’s impromptu experiments with emotions in track practice. The Illinois track and field coaches’ hall of fame electee had his team run flying-forties (40-meter dashes with a running start) two ways. First, without encouragement from their teammates, then with teammates lining the lane and shouting their support. Well, guess what? Yeah — the runners’s times improved dramatically when they were driven by their teammates loud hurrahs. Turning to today’s news — the Stanford men’s soccer team just won their third straight NCAA Division I championship.